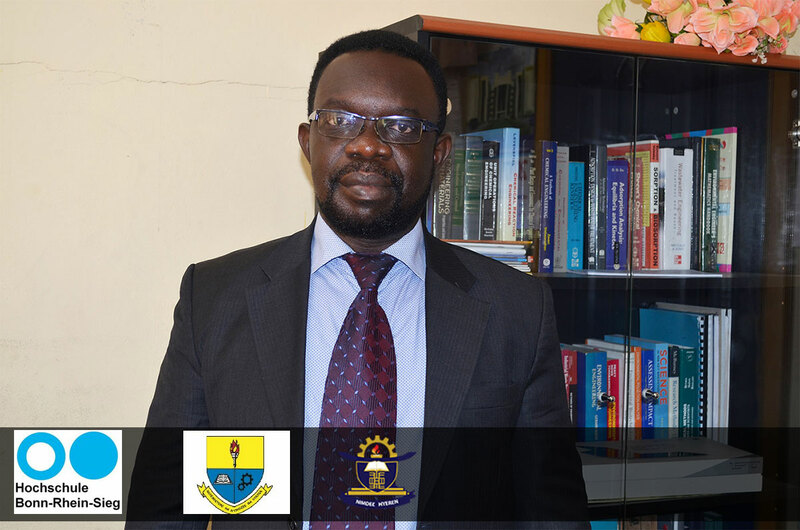 Kumasi Technical University (KsTU) in partnership with Cape Coast Technical University (CCTU) has secured funding to build the capacity of its technical and the administrative staff. The funding which will run for a four-year (2017 -2021) period has an annual budgetary allocation of 200,000 Euros. Speaking with the University Relations Office of KsTU, Professor Mike Agbesi Acheampong who led the collaborative team of staff from KsTU and CCTU indicated that all the eight newly converted Technical Universities were to compete for the two different funding slots that were being offered by Bonn-RheinSeig (BRS) University of Applied Science in Germany. To brighten the chance of KsTU to secure one of the funding slots, it strategically combined forces with CCTU which eventually won the two universities (KsTU and CCTU) one of the coveted funding opportunities. It would be recalled that per Section 42(7) of the transitional provisions for the conversion of the country’s Polytechnics to Technical Universities, “A Technical University shall in its operations enter into partnership with accredited Universities in the country or abroad relevant to the mission of a Technical University for a period of five years or as may be determined by the National Council for Tertiary Education”. This presupposes that each of the institutions should have a partner with a similar mission. Bonn-RheinSeig (BRS) University of Applied Science as a partner, decided to make two projects available to the Technical Universities for them to bid so that the winners execute. The KsTU’s strategic collaboration with CCTU to secure the funding which is under the MIWF DAAD Scheme Transformation of Polytechnics to Technical University from the German government to enhance teaching, research and development in the two institutions yielded good results. The funding was secured after a rigorous bid by all the Technical Universities through their various proposals which indicated the needs assessment of their niche areas. As part of this partnership arrangement between the funding organization (BRS) and KsTU, a collaborative agreement document has been signed between the two universities to cover hosting of visiting academics, technical and the administrative staff of the two institutions. Specifically, the co-operation will be mainly focused on the following thematic areas: exchange of students on undergraduate programmes to secure foreign experience; establishment of direct data links and other electronic communications; publication of joint papers and technical communications on collaborative work; organisation of conferences, seminars and workshops for dissemination of findings as well as certification of studied programmes for recognition in the partner institution.